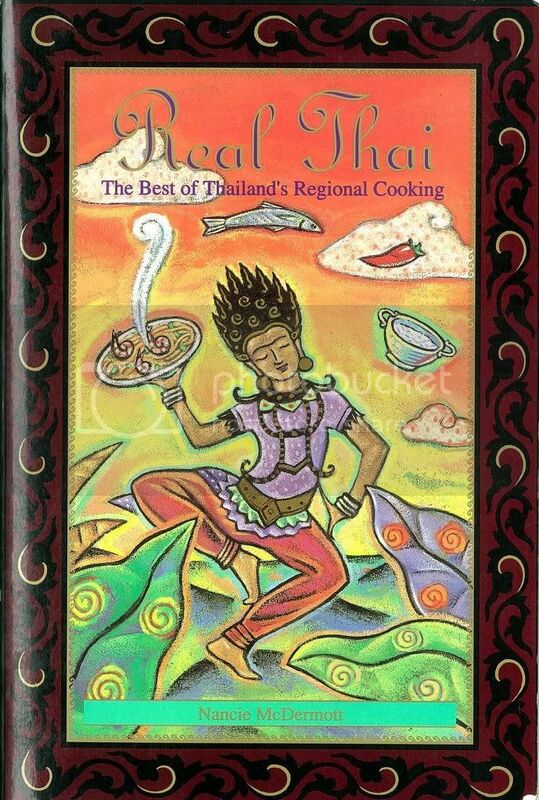 Nancie's "RealThai" | Thai food: cooking, ingredients, equipment, traditions, recipes, books, stories, news. This classic Thai soup is one of my go-to dishes, for its simplicity and accessibility; but know that those are not the essential things to know about it. 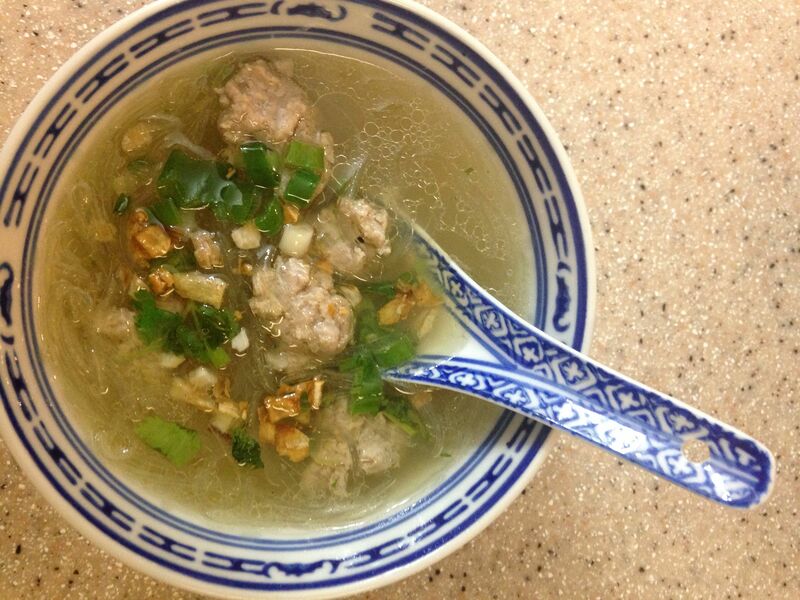 What I love most is its hearty, satisfying and extraordinary flavor. 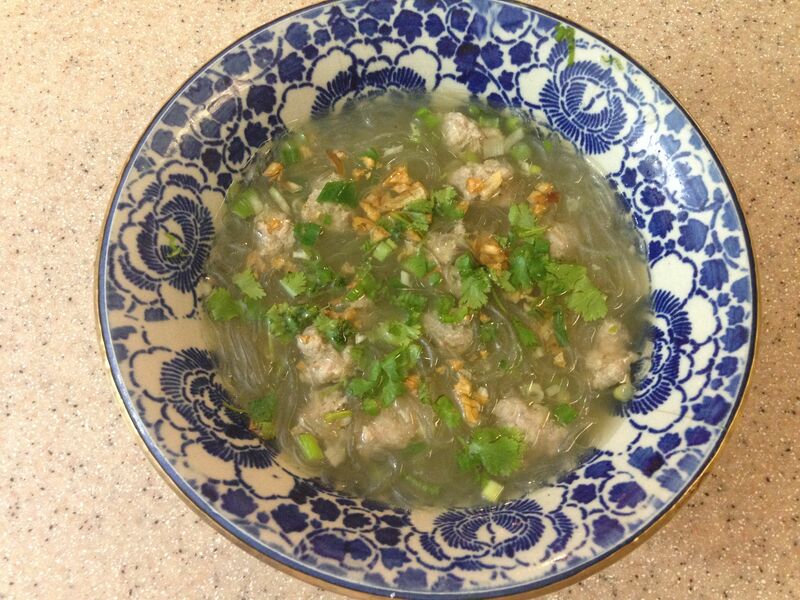 Thai people enjoy it as one of the main 4 to 7 dishes making up a family meal on a busy day, and always serve it piping hot along with long-grain rice. 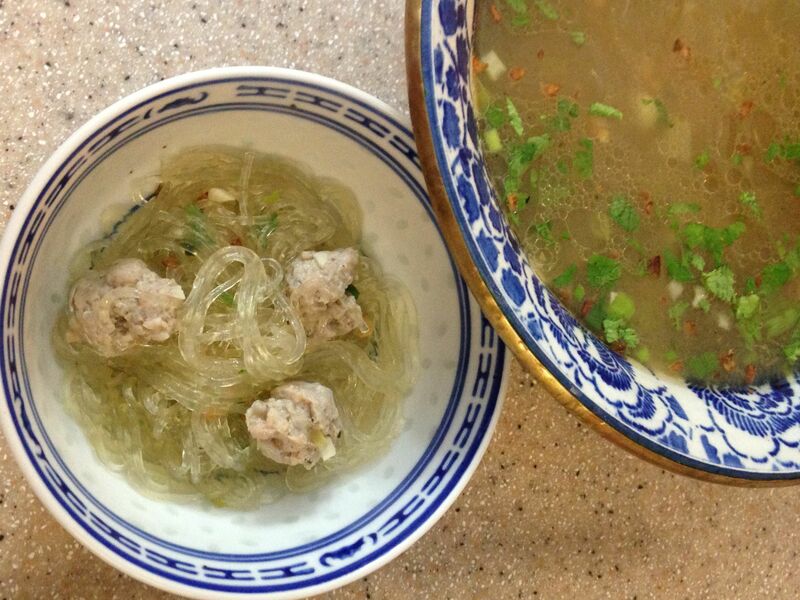 You could make it your meal and call it a soup noodle dish in a big ol’ bowl. You could also have it as main course with rice and a salad or steamed broccoli or stir-fried spinach; no rules about how you get to enjoy it. I simply suggest, often! Those tiny golden bits are toasted garlic in oil, which is another simple condiment which is included in this book. Substitute ground chicken or ground turkey, or crumbled firm tofu, or even ground beef and you’ll still have a great dish. 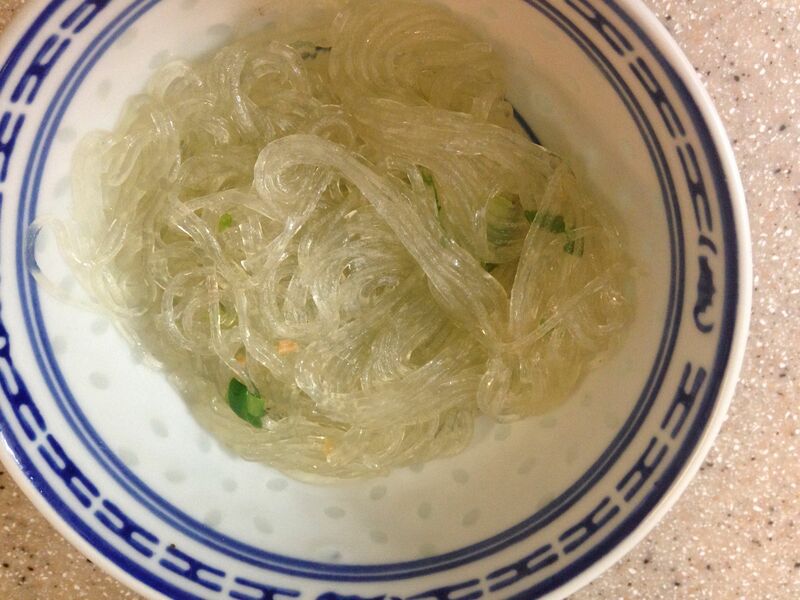 I adore these noodles, woon sen in Thai, and bean thread noodles, glass noodles and cellophane noodles in English. I am still amazed to this day that we can find these treasures (cheap and shelf stable, and endlessly varied in terms of culinary possibilities) at most major supermarkets in the USA. You soften them in warm water and then stir fry them, or plunge them in boiling water to start them cooking and pull them apart so that they cook evenly for just a few minutes untill tenderly done. The noodles are extremely long, a symbol of good luck in Asian culinary tradition, so leave them that way if you like; or snip them into more manageable lengths (6 to 8 inches is what I like to do) after they have softened using kitchen shears. 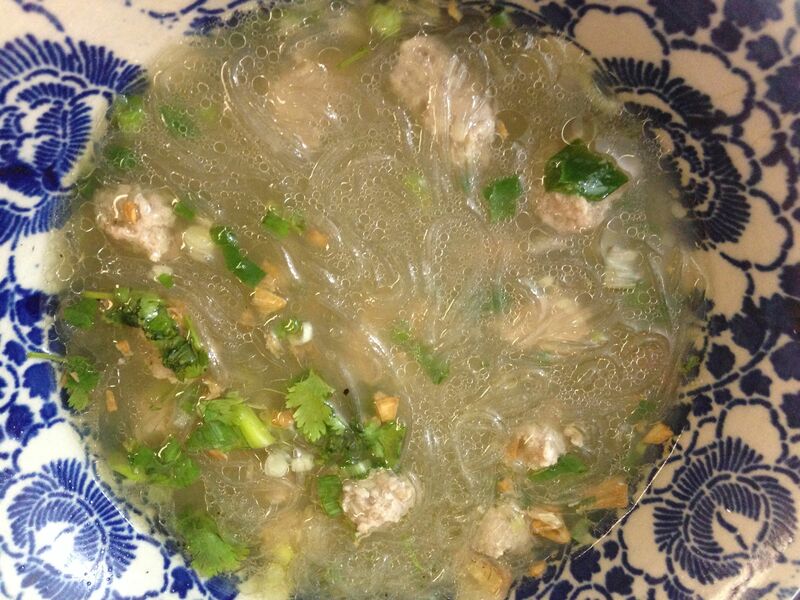 You’ll still have your luck, as evidenced by your being on the verge of enjoying this lovely Thai soup.